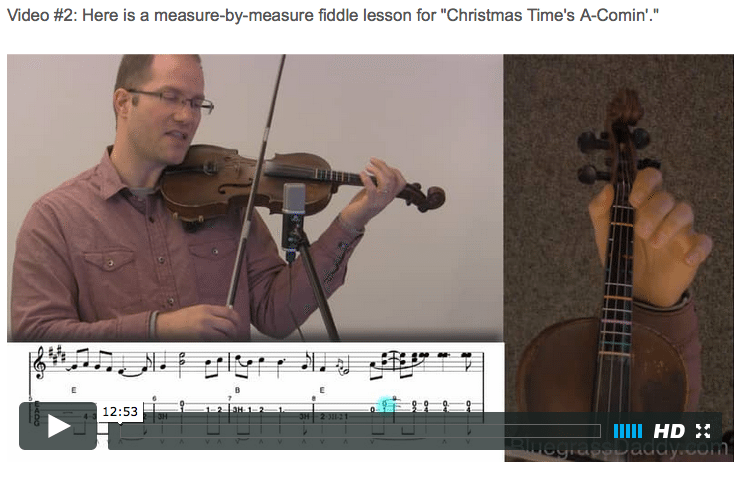 This is an online fiddle lesson for the Christmas song "Christmas Time's a Coming." Video #1: Here is a video of my daughters and me performing the Christmas song "Christmas Time's A-Comin'." "Christmas Time's a Coming" is a popular bluegrass Christmas standard song written by Bell Labs engineer Benjamin "Tex" Logan. Originally recorded by Bill Monroe in 1951, the song was covered in 1994 by American country music singer Sammy Kershaw on his album of the same name, charting in 1995 and 1998 on the Billboard country charts, respectively reaching #50 and #53 those years. Tall pines are humming Christmas time's a comin'. Christmas times a' comin' and I know I'm going home. Can't walk for running, Christmas time's a comin'. For the folks at home when Christmas time's a comin'. Posted in Bluegrass, Country, Holiday, Intermediate	Tagged with: "Christmas Time's a Coming" "Bill Monroe" "Benjamin Tex Logan" "country fiddle lesson" "bluegrass fiddle lesson" "online fiddle lesson" "John Cockman" "BluegrassDaddy"
This topic contains 3 replies, has 3 voices, and was last updated by John Cockman 3 years ago. 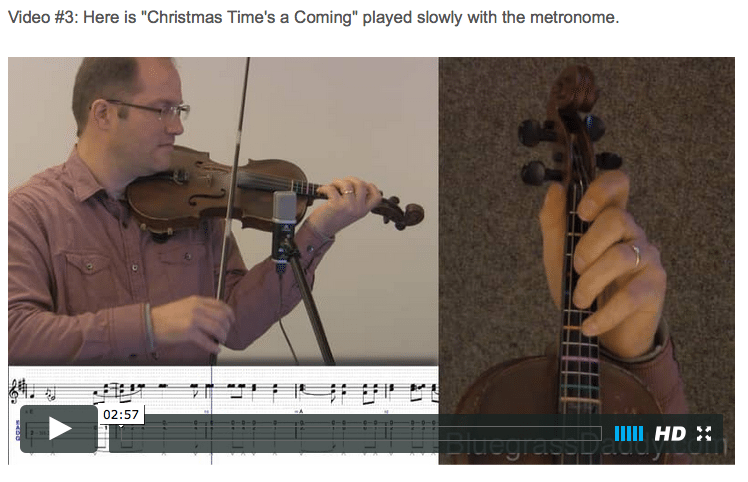 This is an online fiddle lesson for the Christmas song “Christmas Time’s a Coming.” Here I teach the Dale Morris fiddle break for this classic Bill Monroe tune. This is the first time I’ve ever heard this song, and it’s wonderful! Thank you so much for another lesson! I can keep pace (sort of) for the first part of the song, but the part with the double stings (is it the chorus?) I kind of lose it 🙂 but it’s great to have something to work on! Thank you, Mr. Cockman (and your family) for all the work you’re putting into these lessons! Thank you, Gu and Kaeleigh! This song is a little tough, but great practice for playing a fast song in the key of E.